Want to build your agency’s authority in your niche? How about a content marketing strategy that delivers high return with little effort? Then adopting this combo blogging/podcasting strategy could be the shift to get quality clicks, organic backlinks and make your agency’s service offering more attractive to your ideal clients. 7 benefits of being a podcast guest. The blogging strategy your agency needs to implement. 7 easy steps to building a blog strategy calendar. A bonus lead gen strategy. Today I talked with Phil Singleton, founder and CEO at Kansas City Web Design & SEO and co-author of SEO for Growth. With over a decade of experience, Phil has a passion for SEO and has learned the need to include it into a holistic marketing plan to help his clients move the needle. 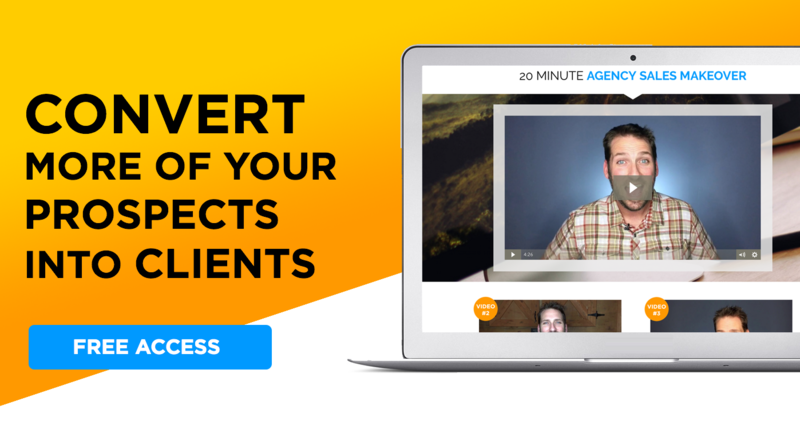 Phil has implemented a really interesting strategy for personal branding and authority campaigns for his clients and today he shares how your agency can do it too, in order to build authority and attract the right clients. Get exposure and quality backlinks on someone else’s website in a niche. Be perceived as an expert in the niche because they have been contracted by someone else to speak on a particular topic. Get exposed to someone else’s trusted audience. Podcast show notes are all about your agency. Interviews build your agency’s brand (or the owner’s personal brand) and authority. Receive organically earned backlinks that Google loves. Do a 20-30 minute phone interview and the host does all the work. If your agency doesn’t have a steady stream of content marketing, then it is time to start making some adjustments. Guest blogging is getting spammy and harder to do, with all the competition out there. It’s not bringing your agency the quality clicks you need. That’s where Phil’s Personal Branding and Authority Campaigns Strategy comes into play. Growing out your agency’s website organically. Feed your social media (with proper setup). But blogging isn’t going to work if it’s one-off guest posts that stand alone. That’s why your agency needs to build a blogging strategy around a content calendar and set it up as steps. Ultimately, this should tie in with doing podcast interviews. With all moving parts working together your agency can truly reap all the benefits listed above. Create your agency blogs in a batch of 10-15. Create the blog posts so they can be stitched together into an ebook. 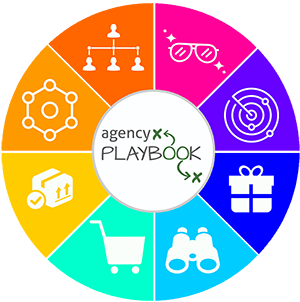 Utilize the ebook as a call-to-action on your agency’s website. Spin the ebook to Kindle on Amazon. Utilize the author page on Amazon to feed your RSS, which will get your agency’s blog posted on the author page. Use this author status to start a podcast guest campaign now that you’re viewed as an authority in your niche market. You don’t want to use your ebook as a lead generation source. Instead, use it as a branding exercise and let it snowball from there. Building a blog strategy calendar will help your agency avoid the dreaded “SEO fatigue.” You know it…. It’s that 3 to 6 month period where clients start to panic, because they aren’t seeing results fast enough. Providing clients with a set strategy that can reach twelve months out, helps set the tone for allowing enough time for results to come. Your agency is also is providing the bonus of a nice, shiny author page which feeds into client egos and makes them happy. Do you have multiple clients in a niche market? You can use those existing clients to pull in more clients, by teaming them up. Phil says, approach your current clients about authoring a book on their specific niche market. Maybe each client would write a chapter to cover their specialty and they could invite others in the industry (your potential clients) to participate with their specialty and write additional chapters. Then utilize a platform like Amazon and Createspace to publish a physical book for you and your clients to promote. Then, throw a launch party where your agency can work on relationships and building a referral channel for future projects. It’s a win for your existing clients, a win for your potential clients and a win for you.